Graphic Vital Waste Graphics Who gets the trash? As we continually update and invent new products the life of the old ones is getting shorter and shorter. 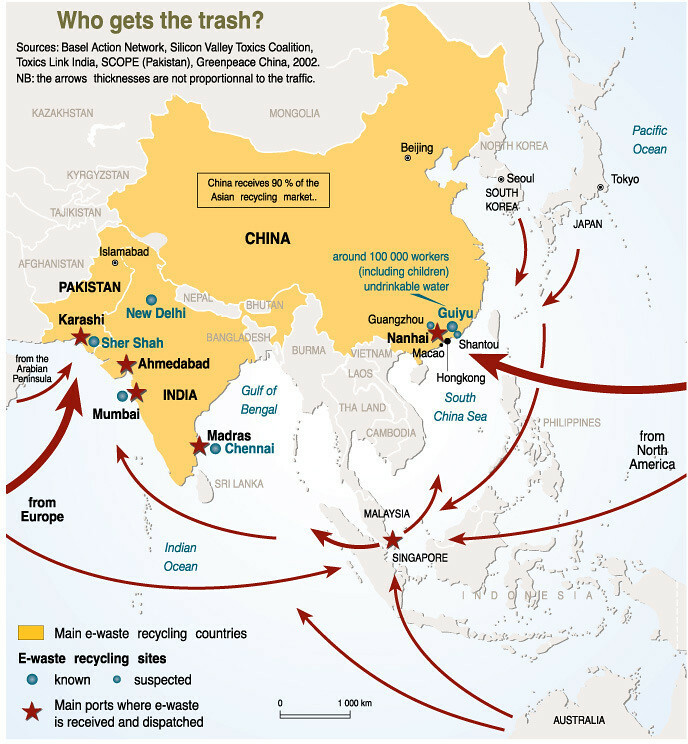 Like shipbreaking, e-waste recycling involves the major producers and users, shipping the obsolete products to Asia, Eastern Europe, and Africa. 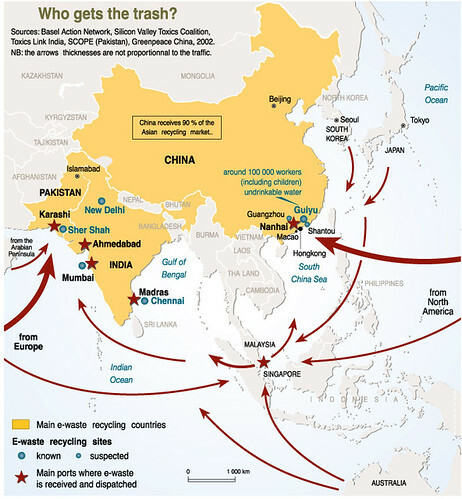 But instead of being “green” we are exporting a sack full of problems to people who have to choose between poverty or poison. 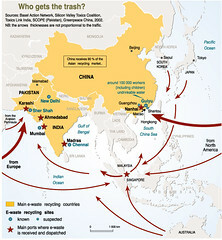 This graphic illustrates major receivers of e-waste in Asia.